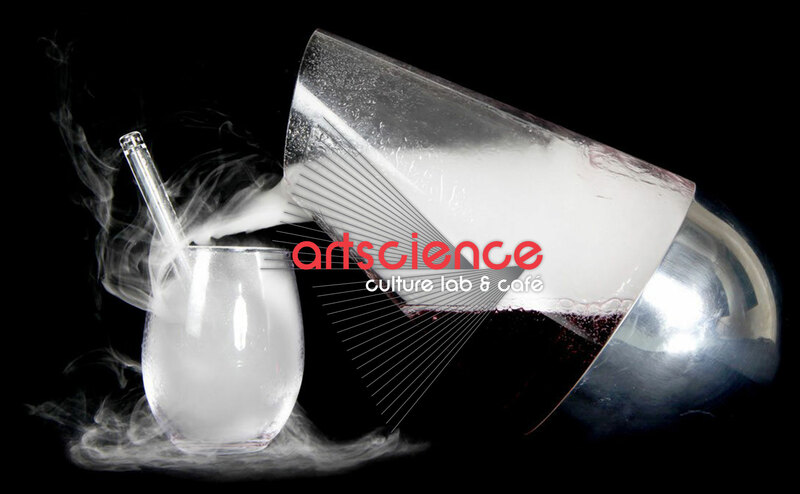 We do experiments in art and design at frontiers of science, and have since the opening of Le Laboratoire in 2007 in Paris. Over these years we have done 24 experiments, leading to works of art and sensorial design now in museums and selling in stores. We started the “FoodLab” in Paris as a kind of subterranean ‘club’ restaurant where our sensorial designs could come to life. When Le Lab moved to Cambridge in 2014 the FoodLab became Cafe ArtScience. We run a unique bar and restaurant program that brings some of the most interesting cocktails and drinks on earth together with great food around science experimentation that explores the future of food. A Cafe whose profits contribute to the charitable cause. Our foundation, created in 1999, promotes aesthetic learning at frontiers of human experience and operates the World Frontiers Forum, an annual gathering of some of the world’s leading pioneers across disciplines from the contemporary art to biology to transportation, dance and more. Each year, thousands and thousands of guests visit our Kendall Square location, and millions touch and consume things we have created to pioneer the future of sensory experience. While inside our Cafe & Culture Lab some of the most amazing people on earth give talks, exhibit, dance, and dream. They include our founder David Edwards, inventor and writer, crazy Harvard guy, and, among others who you might run into, these fascinating minds.